Google Storage manager is a web application that lets you perform simple storage management tasks on the Google Storage system. 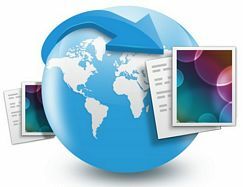 Some typical uses for Google Storage manager include: Creating and deleting buckets; Uploading, downloading, and deleting objects; and making objects publicly readable. Organizing and managing your data through a folder hierarchy. Google Storage for Developers is a Restful service for storing and accessing your data on Google’s infrastructure. The service combines the performance and scalability of Google’s cloud with advanced security and sharing capabilities. Fast, scalable, highly available object store. All data replicated to multiple data centers, Read-your-writes data consistency, Objects can be terabytes in size, with resumable uploads and downloads, and range-GET support, Domain-scoped bucket namespace. Easy, flexible, authentication and sharing. OAuth 2.0 Authentication, Authenticated downloads from a web browser, Individual-, project-, and group-level access controls.